Our classes run for 45 minutes (just the right amount of time to keep young children engaged). Class sizes are intimate, with no more than 12 enrolled children. You attend the same class, once a week for the term (usually a 10 week period). You can enrol at any time during the term, if there are spots available, and will be charged a pro-rata amount. Classes are $22 for the first child and $11.00 for accompanying siblings over 1 years old. Younger siblings are welcome to attend the same class. You are welcome to trial a class first, for the same fee as our usual classes, if there are places available. Spots cannot be reserved for children trialling. There is also the option to book a ‘Have a Go’ trial pack, attebding two classes over consecutive weeks for $33, ($11 discount). Casual attendance is possible ($25 a class), in classes that have a few vacancies. Pre-booking and pre-payment is required. 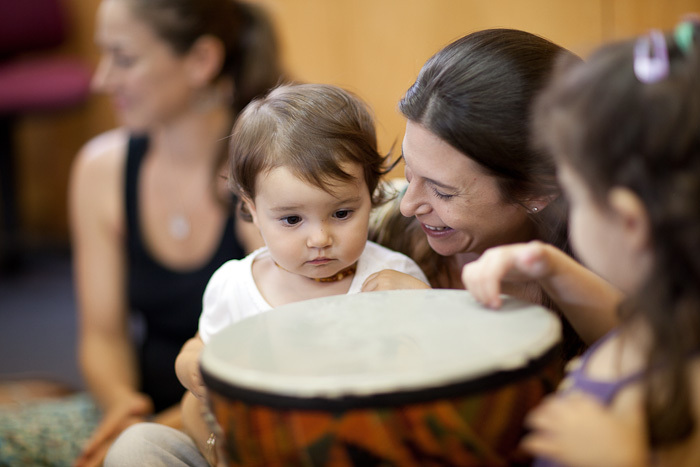 Einsteinz Music instils a love of music in young children, through weekly term-run classes, led by professional musicians as teachers. 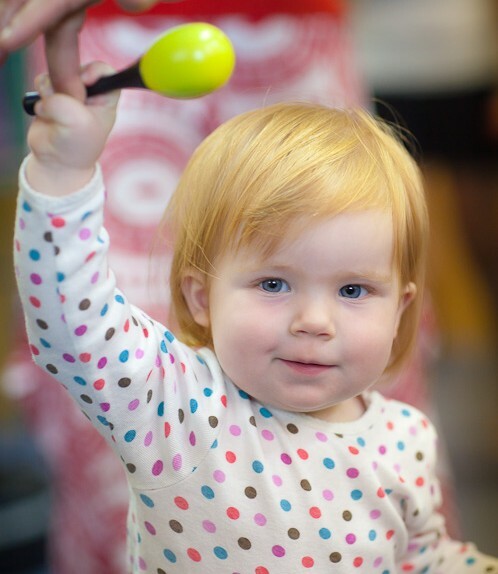 We teach children the fundamentals of music, being beat, pitch, rhythm and tempo, through a repertoire chosen specifically for that purpose and hands-on experience with the percussion instruments. Teachers lead the classes playing guitar on the mat and children get to play maracas, tambourines, rhythm sticks (when they are two and older) and all classes end with a jam session on the drums. We also use props like scarves and animals, when appropriate. Appeals to both adults and children. Einsteinz Music, initially referred to as “Funky Time”, started back in 1999 as an in-store activity at Einsteinz Toy Box toy store in Leichhardt. The lessons grew in popularity and a few years later expanded into a stand-alone business, renamed Einsteinz Music, when the toy store closed. From humble beginnings in the back of a toy store, we now run weekly lessons for approximately 500 children in venues in Bondi, Coogee, Leichhardt, Lilyfield, Neutral Bay, Randwick and Rozelle. We are also keen to open classes in Alexandria, Camperdown, Concord, Crows Nest, Hunters Hill, Newtown and the Sutherland Shire, if there is enough interest in those areas.